Email us at info@ginasok.com and we will add you to the subscriber list! 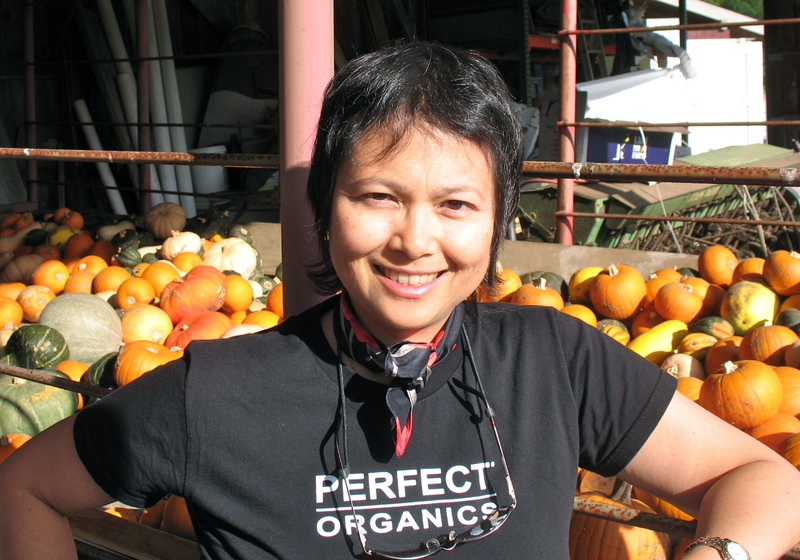 Can’t wait for you to meet my new friend, Gina Paterno Villalobos, THE ORGANIC COACH®. The delightful, upbeat, positive plus attitude Gina, worked her way through a health crisis to a newfound awareness about the importance of what we eat and ended up with an exciting new career. After being diagnosed with high-risk Breast Cancer nine years ago, Gina Paterno Villalobos turned to organic whole foods to detoxify her body of harsh chemotherapy treatments, rebuild her immune system and regain her health. So amazed by the miraculous, natural healing properties found in these “superfoods”, she decided to leave her corporate NYC life in order to become fully educated in Wholistic Nutrition. Trained at the world-renowned Kushi Institute Center for Natural Healing (the top macrobiotic center in the US) as a certified Macrobiotic Instructor, certified in Food Therapy from the world-famous Natural Gourmet Institute for Food & Health, and in Plant-Based Nutrition from Cornell University, today Gina is a rare expert in Food as Medicine, Health Education, Wholistic Nutrition, and is a natural whole foods chef. Moving to Dallas from Connecticut last year, Gina’s knowledge of natural whole foods facilitated a career in coaching others about healthier living and preparing foods for healthier eating. For those of us short on the time and expertise required to prepare organic whole foods, but who want to purchase and consume such, we look for Gina’s Organic Kitchen™. Premiering in November 2012, Gina’s Organic Kitchen™ will initially offer the convenience of delivery to the Dallas area as well as pick-up at her cooking Kitchen at 10870 Plano Road in Dallas.